Dušan started his career at ZTS Dubnica and came to Tannadice from MSK Zilina. He had also been on loan with Senec and ZTS Dubnica. 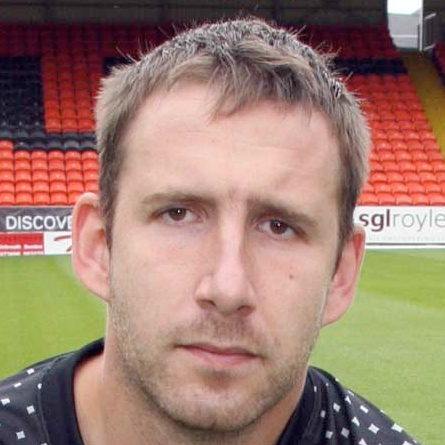 Dusan went on to star for United in the second half of 2009-10, ending the season with a Scottish Cup winner's medal. He had two more good years at Tannadice and left when his contract expired. Whilst with United he was capped for his country. Dušan was born on this date in Nitra, Czechoslovakia. Peter Houston made three changes to the team that started in the defeat at home to Aberdeen. Pernis replaced Nicky Weaver between the posts, behind the familiar back four of Kovacevic, Webster, Kenneth and Dixon. David Robertson started in place of Sean Dillon, alongside Morgaro Gomis, Prince Buaben and Craig Conway, while Jon Daly returned to the starting line-up to replace the injured Danny Cadamarteri and partner Casalinuovo up front. 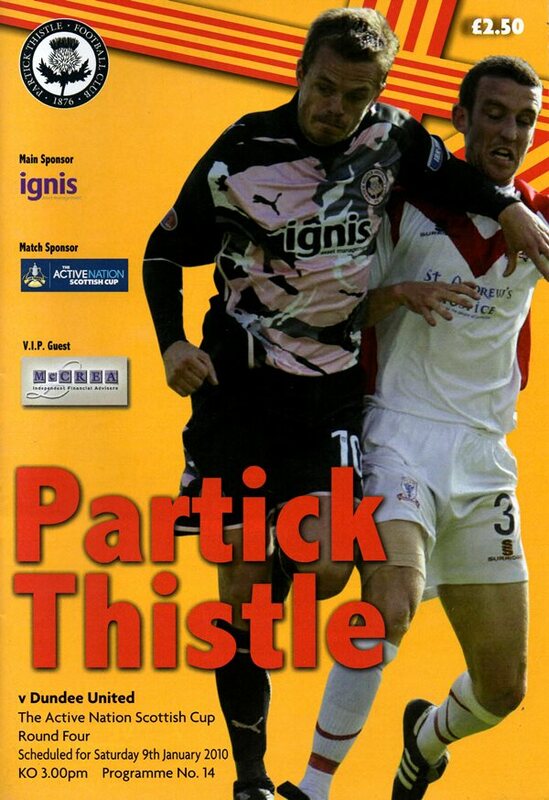 United’s last game of the season was a visit to Fir Park to face Motherwell who had beaten Peter Houston’s side to third place in the league and subsequently a Champions League qualifier with second placed Rangers banned from Europe having entered administration earlier in the year. Houston made four changes to his starting line-up from the impressive 1-0 win over Celtic at Tannadice the previous week. Gavin Gunning and Robbie Nielson dropped out altogether with injuries whilst Willo Flood and Gary Mackay-Steven were demoted to the bench. In came Keith Watson, Stuart Armstrong, Danny Swanson and Johnny Russell. It was a day of emotion at Fir Park with players on both sides playing their last matches for their respective clubs. Motherwell skipper Stephen Craigan received a tremendous reception as he led the home side out for the last time after making 367 appearances for the club over the course of two spells at Fir Park. For United it was farewell to three heroes who had lifted the Scottish Cup in 2010 with Dusan Pernis, Scott Robertson and Danny Swanson all moving onto pastures new.